Hey guys, this post is something very different and is definitely non-related to fashion. 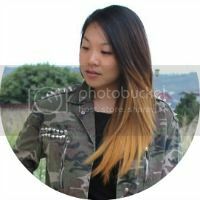 This post is more of a lifestyle post, something of which i'm looking to add more of into my blog. I like going away for a short break now and again, usually somewhere nearer to Hong Kong and one of the hotspots are Macau. Even though i've been to Macau countless times, I still like to go back to the same places everytime I visit the city. Most times i'm there, I'd like to take a trip to the Macau Tower. This amazing tower is over 300 metres tall, you'll not only see the complete view of Macau, if you like to take on the bungee jump challenge you got to check out Skywalk X, (Skywalk X, the world’s highest bungee jump and the mast climb). Skywalk is another popular activity. Sky walkers are able to walk around the outside of the tower. Whilst walking the tower’s perimeter at night you’ll be treated to a view of neon clad Macau hotels and streams of traffic cutting through the urban landscape. Although it may not be fashion related, I loved reading this! Adrenaline junkies and the activities they do amaze me. This skywalk sounds amazing and I can't imagine how beautiful the view must be at night time! 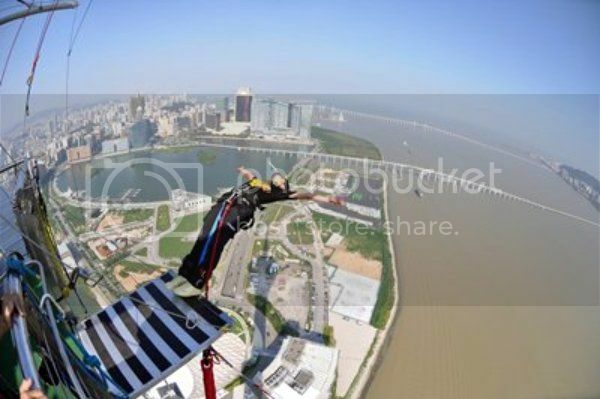 Have you ever done the bungee jump or sky walk whilst visiting the Macau Tower?